Anyone who participates in sports, whether for pleasure, in youth or adult leagues, or even on a professional level – knows losing isn’t the worst thing that can happen; sustaining a serious injury is, particularly when that injury is preventable. This is why it’s so important for adults and children active in sports to wear protective gear, such as helmets, shin guards, knee and elbow pads, and mouth guards. Wearing a mouth guard can prevent serious injury and save a lot of pain. Each year this simple safety measure prevents more than 200,000 oral injuries among athletes. All mouth guards are not created equal. Depending on the design and materials used, mouthpieces will vary in fit, protection, ease of maintenance, and longevity. We'll help you decide on the right mouth guard for your needs. Custom-Made mouth guards are formed from a cast model of your teeth. We design these for complete protection to cushion falls and blows to the chin. Though slightly more expensive than commercially-produced mouthpieces, our custom-made mouth guards offer the best possible fit, protection, and comfort. Mouth-Formed mouth guards are generally made of acrylic gel or thermoplastic materials shaped to fit the contours of your teeth. These are placed in boiling water, then formed and molded to the teeth. They are commercially produced and do not offer the same fit and protection as a custom-fitted mouth guard. Ready-Made Stock mouth guards are the most inexpensive, but also the least comfortable and the least effective protective mouthpieces. Commercially-produced, off-the-shelf, rubber or polyvinyl pre-formed guards can be purchased at most sporting goods stores, but are not recommended. Night Guards may be recommended if we see evidence that you are grinding your teeth when you sleep. Although it is very common, teeth grinding at night is painful and hazardous to your long-term dental health. It is very destructive to your dentition and can crack your teeth, fillings, or crowns. 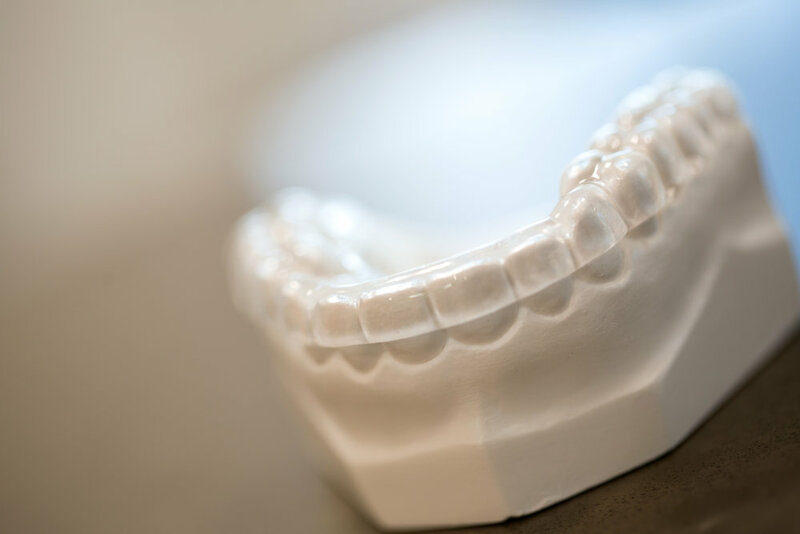 We can custom-make a night guard from a model of your teeth to provide the fit, comfort, and protection you need. What can I do to make my mouth guard last? Like all sports equipment, proper care will make any mouth guard last longer. Keep your mouthpiece in top shape by rinsing it with soap and water or mouthwash after each use, allowing it to air-dry. With proper care, a mouth guard should last the length of a season. The condition of the mouth guard should be checked before each use, particularly if the athlete tends to chew on it. We can also check your mouth guards during regularly scheduled examinations.